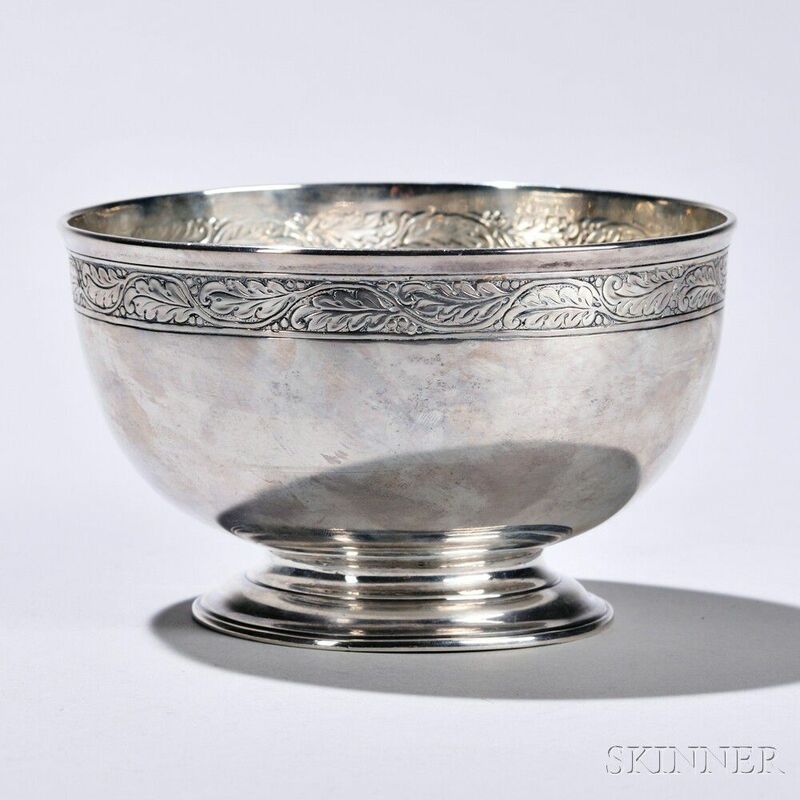 George III Sterling Silver Bowl, London, 1761-62, John Swift, maker, with oak leaf register to rim, on a circular foot, dia. 5 1/2 in., approx. 9.8 troy oz.